Union Tourism Ministry has signed agreement with state run telecom operators BSNL & MTNL to provide Free Wi-Fi services in 100 selected tourist destinations across the nation. The locations include - world heritage sites, monuments and other major tourist destinations where the service will be provided within the next six months. Tourism Secretary Vinod Zutshi said - "BSNL and MTNL will provide the service for seven years with the Tourism Ministry bearing the operational cost for the first three years." The ministry has given a list of 148 tourist destinations to BSNL and requested BSNL to select 70 tourist sites from this list. The Ministry of Tourism shall extend financial support of Rs 7 lakh per site per annum for a period of 3 years. The ministry has also requested BSNL to launch Wi-Fi facility at these 70 tourist places by 30th November 2016. Wi-Fi services will be free for the first few minutes for pubic / tourists however, the ministry hasn’t taken a call to decide charges for using the service. The ministry has already started providing Wi-Fi services at 30 tourist places, including Taj Mahal in Uttar Pradesh, Trimula temple in Andhra Pradesh, Bodh Gaya in Bihar, Khajuraho, the ghats of Varanasi and Fatehpur Sikri. Dear readers, please share your views and opinions about this latest news via comments with us. 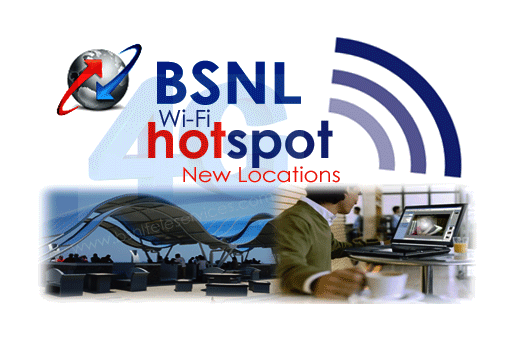 How many of you have used BSNL's Wi-Fi services already available in locations like - Taj Mahal, Varanasi etc. ?